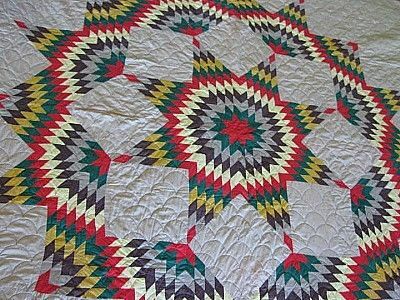 The Sioux made beautiful star quilts. Star quilts were patchwork quilts. Each piece represented a person - not any particular person - just a person. Every piece of the quilt was different. Every piece was necessary to a make a whole quilt. To the Sioux, star quilts represented a community of individuals who must work together to make a whole. Friendship was the thread that held the quilt together. The Sioux were very proud of their beautiful quilts. They used them as blankets and gave them as gifts on special occasions.